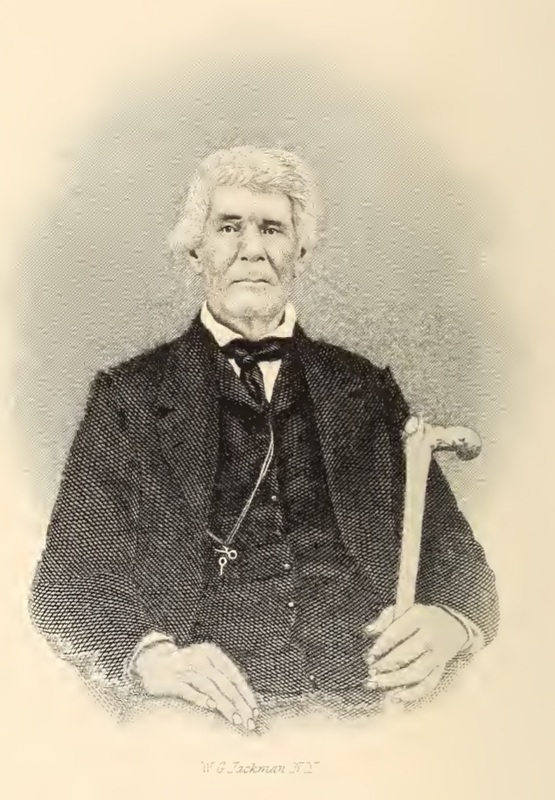 Elder Wilson Thompson (1788-1866) has long been a respected name among Primitive Baptists of the United States. 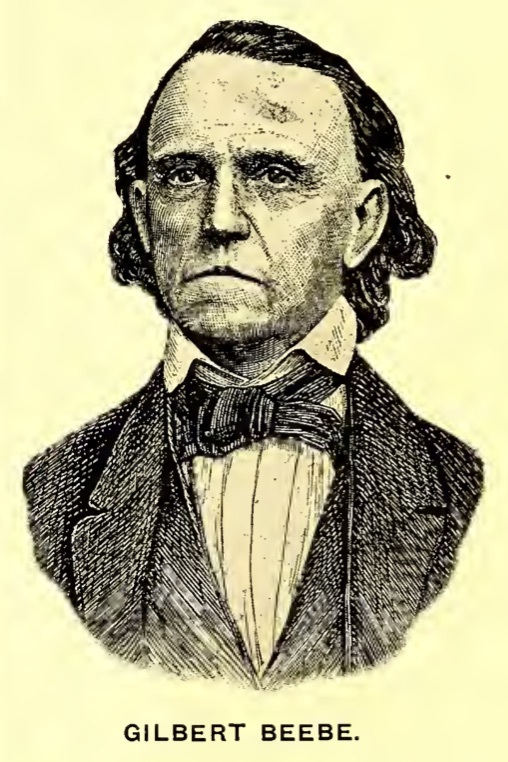 Elder Thompson was one of the earliest pioneer ministers to labor in the state (then territory) of Missouri and was extremely active in the earliest days of the struggle between Old School and New School Baptists. Despite early efforts which led him to extremes of expression regarding the essential doctrine of the nature and persons of the Godhead (see Triumph of Truth), Elder Thompson became a stabilizing influence over many in turbulent times, and continued with a passion for evangelism and ministry into his later years. He brought up a number of children, of whom Elder G. M. Thompson and Elder John Thompson became influential in their own right. Having made his obligatory attack on the Missionary enterprise and all of the varied “means” systems of the day. Thompson then enters into, what in his mind must have been, a comprehensive explanation of the Truth. He deals with salvation as the will or testament of God the Father, administered through the mediation and suretyship of the Lord Jesus Christ. It is a great blessing to review the writings of our dear brethren who have passed this way before us. While I am thankful for their witness and for their faithfulness to stand in opposition to the popular trends of their society, culture, and even church relationships, I also want to learn from their mistakes, misdeeds. These brethren provide valuable examples both good and bad for us today. I will not be numbered with those who would cast of my heritage and deny the fellowship and association of these good brethren. Neither will I embrace their every word as a pattern for my preaching, writing, or action today. I will honor them by seeking to honor the Lord whom they professed to serve, and in striving to faithfully understand and apply His word in my own experience. “Well, it is all right; I am in the hands of a good and just God, in whom I have perfect faith. Nothing but a demonstration of His wonderful power can save my life. The entire text of Elder Thompson’s letter follows. Feel free to browse the photos of the original published version of the article as well as the surrounding content within The Signs of the Times-Volume XI. Harrisburg, Fayette Co., Ia., April 5, 1843. BROTHER BEEBE: – I have long been a reader of your paper, and have found much in it to approve, new, to admire; and some things to deplore. The hard shooting of brother against brother, is always a matter of regret to me: yet a zealous adherence to the truth of the gospel is always commendable. I have long preached and believed that there are both truth and error on the earth, and truth is mighty and will prevail. The Savior is the Truth, and the devil is a liar and the father of it. These two heads have their mystical bodies in this world. Christ has sent out his Apostles, and the devil has sent out his: and the body of Christ do well when they try those who say they are apostles, and are not; and prove them to be liars who are of the synagogue of satan, or his ministers. The whole gospel is Christ and him crucified— he is the Way, and the Truth, and the Life. Everything else that is preached as merit, means, conditions, or terms of salvation and eternal life, is but a lie of the devil, and proves its preachers to be the ministers of satan; and those who love or make such lies have no place assigned them in the church, but their place without its walls is with dogs, &c. I have believed and declared my full conviction that there are but two great principles on the subject of religion in this wide world. — One is grace alone; the other is works alone.— These can never be blended, for if we are saved on the condition of some good works done, or foreseen to be done by us, the reward is not reckoned of grace, but of debt; and, if of debt, then it is no more of grace. So there is no grace in that plan, for grace is a favor to the unworthy: but if we must first fulfill some specified terms, in order thereupon to claim and receive the favor, we receive it as being entitled to it by services specified as terms, and rendered as such; and so the favor is obtained on the ground of worthiness, and grace is quite excluded. So we must still agree, that if it is of grace, then it is no more of works; but if it is of works, then it is no more of grace—for the two plans will not be blend together, for the one excludes the other. I may be asked, Why do so many denominations, all in conflict with each other, exist, if they all belong to one great body as the synagogue of satan? I answer, they do not differ with each other on the great principle, but all agree, without a dissenting voice, that we have our part, our work to do. Every heathen temple and every anti-christian denomination sustain this great cardinal doctrine. Why then do they so greatly differ?—They only differ about what it is we have to do,— but they all agree that we have got something to do, and only differ concerning what that something is. The Hindoo says we must go to the temple of Jugernaut to worship; the Jew says we must be circumcised and keep the law of Moses; the Mahometan must believe and obey his prophet; the Shaker must believe in Ann Lee and give up his marriage vows and property; the Mormon must receive the new revelations of Joseph Smith; the Catholic must receive the sign of the cross, count his blades, &c.; the Campbellite must believe that Jesus is the Christ and be immersed; the Methodists of various grades, and United Brethren, &c. must come to the altar, join society, attend class meetings, pay quarterage, &c., or do some good works as they call them. Now apply the rule to all parties, heathen, Jews, Mahometans and Arminians of every grade, and they all have their work to do,—they must believe in the use of means, must attend to and use the means of grace. Now who cannot see that these all agree in one great conditional plan of salvation, and differ only in detail—about what the work is which will fulfill the terms and entitle the performer to the blessing.—They all equally exclude grace and make some doings or other they terms of obtaining the favor, which makes the reward reckoned of debt and not of grace. I, therefore, in reference to the true faith of Christ, can make no preference of one denomination above another, while they all alike exclude Christ; and when I hear that the most popular of them, such as New School Baptists, Presbyterians, Methodists, &c. are all uniting, I believe they act in perfect consistency. The Old School Baptist church stands solitary and alone, as it always has stood: — “By grace are ye saved, through faith, and that not of yourselves; it is the gift of God: not of works lest any man should boast.” “Not by works of righteousness which we have done, but of his own mercy he saved us.” “Who hath saved us and called us, not according to our works, but according to his own purpose and grace which was given us in Christ before the foundation of the world.” From these texts we are positively told that we are not saved by our works, of our works, nor according to our works. Thus heaven has vetoed the whole plan of the arminians, and they may divide no more about its details. The inheritance is of faith that it may be by grace, that the promise may be sure to all the seed,—not at all conditional but well ordered in all things and sure. My dear brother, the church of God is the family of his children, and Jesus is the Elder Brother; he was God’s elect as heir of all things, as Mediator [not executor] of his Father’s will, and Surety for the indemnity of all the minor heirs. These were all the children of God which he gave to Christ as their Mediator, Surety, Guardian and Savior. They as individuals are the sons of God and brethren of Christ; and as a body collectively they are his church. Hence he says, Behold I and the children which God has given me! I will confess thy name among my brethren: in the midst of the church will I sing unto thee. He that sanctified [setteth apart] and they who are sanctified are all of one [Father,] for which cause he is not ashamed to call them brethren. These sons of God and brethren of Christ are the many sons whom in bring to glory the Captain of their salvation hath made perfect through suffering.—Those were chosen as heirs in God their Father’s will before the foundation of the world, and in that will were predestinated to the adoption of sons, and to an inheritance as heirs of this will, which christ was Mediator and Surety of, in whom, as such, they were blessed with all spiritual blessings in heavenly places, [heavenly things,] according to this early choice before the world; and God worketh all things after the counsel of this will. The immutability of his counsel he has confirmed with an oath to the heirs, that they might have strong consolation. This will, New Testament or covenant, is the will of the Father which Christ came into the world to perform or fulfil and execute.— He left nothing imperfect, but finished the work and became the Author of eternal salvation, and in him all the promises are yea and in him amen to the glory of God by us: for our gospel is not yea, yea, and nay, nay, but yea and amen. This is salvation by grace,—no hard conditions to goad the necks of the disciples; no boasting that we have made ourselves to differ from others; no neglect of Christ to trust in ourselves; not looking to the law of works and our own righteousness to the neglect of the righteousness of Christ. This system is ALL OF GRACE! Grace was given to us in Christ before the world began! so we were chosen as heirs of God’s will in Christ, in whom we were accordingly blessed with all spiritual blessings. In the fulness of time Christ came to this world to die to execute his Father’s will in behalf of all the heirs, and settle all demands which could be legally brought against any or all of them, and did finish all this work perfectly; and so by his one sacrifice he hath perfected forever them that were sanctified, [set apart as heirs in the will he came to execute,]—all this was grace,—For ye know the GRACE of our Lord Jesus Christ, that though he was rich yet for your sakes he became poor, that yet through his poverty might be made rich. So the work of conversion faith, peace, hope and joy is called great grace which was upon the churches. The gospel proclamation of Christ and him crucified, is called the grace of God that bringeth salvation to all men, [nations,] which hath appeared, teaching us [the heirs of all nations] the denying of ungodliness and worldly lusts, that we should live soberly, righteously, and godly in this present evil world. The renewed soul in this plan can never attribute any good in him, don by, or with he now anticipates or has heretofore enjoyed, to himself or his works; but is still bound to say, By the grace of God I am what I am. In all the trial of this state of pilgrimage and warfare, we can have no confidence in the flesh; but renouncing all hope in human aid, either our own or others we are sure that every heir will finally and certainly possess the full portion of his Father’s will; for that Father says, My grace is sufficient for thee. This grace is all suited to the unworthy—it says the lost—it sounds salvation to the helpless—strength to the weak—life to the dead—and eternal beauty and glory to the sin deformed and polluted. The Spirit of this grace has been displaying its quickening energies in a number of churches in this state during the last eight or ten months; large additions have been made to a number of the churches. The saints have been greatly refreshed. The ministers have been unusually active and arduous in their labors, and especially where the good work was going on. Their works has not been directed to frighten or convert souls: this is the Spirit’s work; but they have labored to teach the renewed mind, and hold out Christ and him crucified to them that were seeking for the good old way. I thank my God that my family and the Lick Creek church, with many around have copiously shared in this blessing. I have been leading willing subjects into the baptismal water, more or less, every month since last August, and they have all professed the faith. Different sister churches in several associations have been partakers in these blessings, and the cold and ice of the last winter have not prevented the young soldiers of Christ from being buried with him in baptism. This is no anxious seat revival; it is no missionary or arminian excitement, it is no noise and bustle, but solemn, deep, and of the Old School order; a rending of hearts and not of garments. There are none of the freaks of nonsense among any of our churches and we hope there never may be. 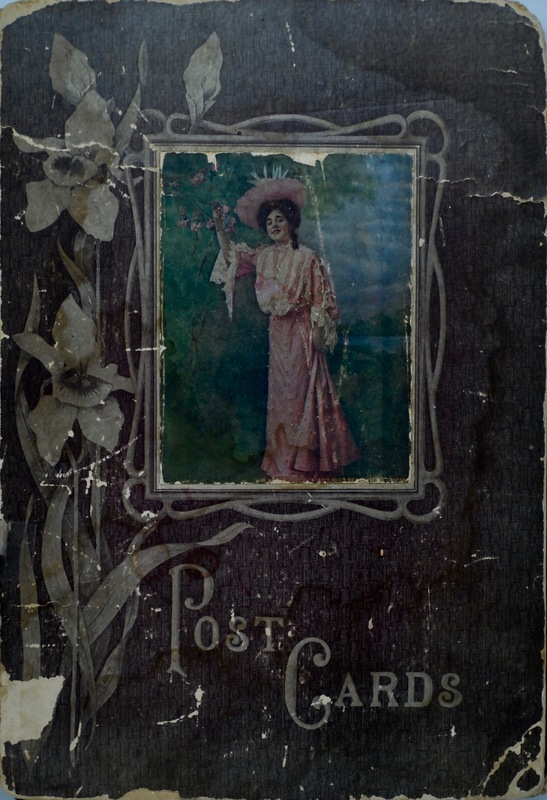 Long before the advent of FaceBook, list servers, or any modern social media technology, there were periodical newspapers magazines, and other printed publications through which ideas were disseminated and controversies were fomented. Thomas Meredith (Biblical Recorder, NC), Jesse Mercer (Christian Index, GA), J. R. Graves (The Tennessee Baptist, TN) among the New School Baptists and Gilbert Beebe (The Signs of the Times, NY), Burwell Temple (The Primitive Baptist, NC), John Clark (Zion’s Advocate, VA) P. D. Gold (Zion’s Landmark, NC), J. R. Respess, and Sylvester Hassell (The Gospel Messenger, GA/NC) among the Old School brethren would become household names in short order. It is interesting, in reviewing some of these publications, to observe the similarities between the topics, tactics and misunderstandings/miscommunications then and now. Even as those of us who participated in list serve dialogues in the late ’90’s through 2000’s may comment on the similarities between our discussion and the childish squabbles observed today on FaceBook group pages, we ought to consider that we were by no means the first to engage in such discussions on public forums. It seems that some lessons are never really learned from generation to generation. As a case in point, I want to share with you a controversy that erupted among the Old School Baptists in 1844-45. Among the many items of interest to me in the following correspondence is the fact that in 1844, more than 10 years after its publication, the New Hampshire Confession still had not been noticed or addressed by the Old School brethren. 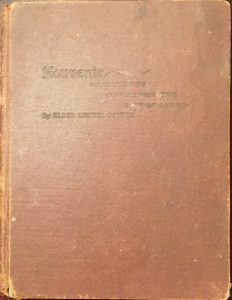 The New Hampshire Confession of Faith was drafted by John Newton Brown of Exeter, New Hampshire and was first published in 1833 when it was adopted by the New Hampshire Baptist Association. This document evidently found its way into the hands of Brother Buckley in Alabama in the latter part of 1843. Brother Buckley mailed the confession to Elder Gilbert Beebe at The Signs of the Times, requesting comments on it. 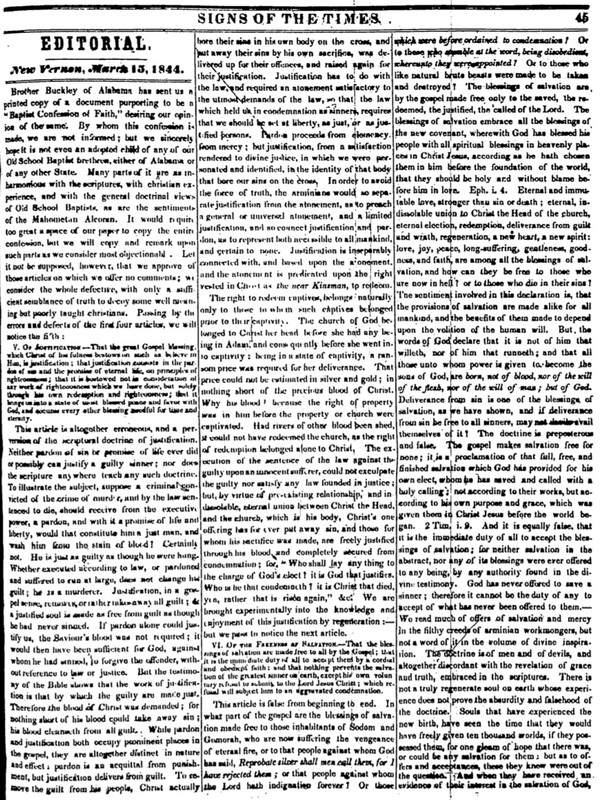 In the editorial section of the March 15, 1844, v. XII, no. 6, Signs of the Times, under the heading Baptist Confession of Faith, Elder Beebe presented his answer to the New Hampshire Confession. The NHCoF is notable as it gained increasing support from and adoption by the Southern Baptist and Missionary Baptist churches over the course of the next 100 years after its introduction. The document waters down the Calvinism of the 1689 London Baptist Confession sufficiently to allow for the embrace of any number of “means” based schemes of salvation which are better suited to the Missionary activities and innovations of the New School Churches. Elements of the New Hampshire Confession remain in the current (2000) Baptist Faith and Message which is the statement of faith held by the Southern Baptist Convention today. The source of the controversy generated by this editorial was nothing that Beebe, or any other reasonable individual might have imagined as he published his article. 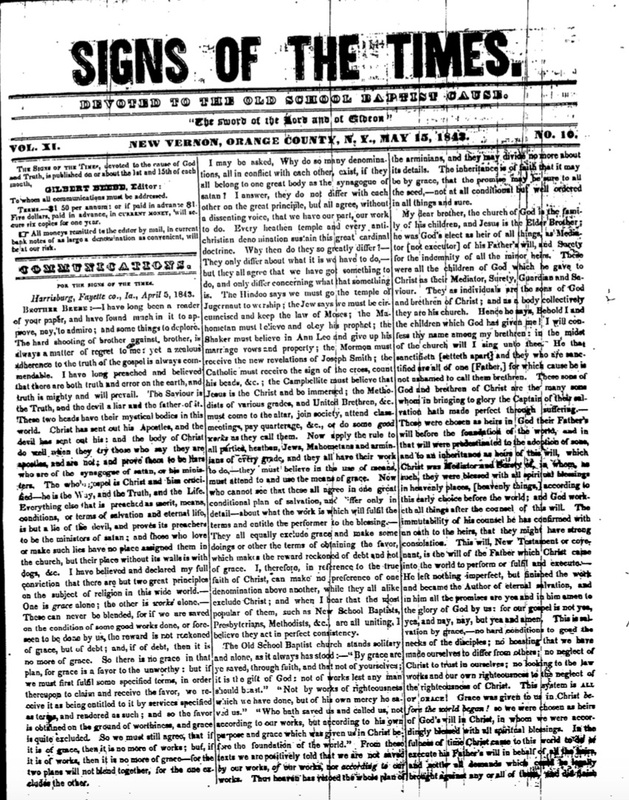 Apparently in that same period, due in part to the rise of Campbellism (the Church of Christ) and its rejection of creeds, covenants, and heritage in general, the Western Old Baptist Churches had adopted a practice of regularly (monthly) reading of their Articles of Faith and Church Covenant. Furthermore, they were emphasizing the importance of identification with a heritage of faith and the documents which bore evidence of that heritage. For this reason, Elder Beebe’s closing paragraph struck a discordant note among some of the more prominent Western Baptist ministers, eliciting a reply from Elder William Conrad of KY. The ensuing discussion/debate included correspondence from such notable pastors as Elder Theodrick Boulware of Missouri, Elder Thomas P. Dudley of Kentucky. Eventually, Beebe doubled down on his position by assisting the Warwick Association in formally rejecting all “creeds and confessions” in favor of corresponding with those only who receive the Scripture alone as their rule of faith and practice. In closing, we present you the text of Elder Conrad’s reply to Beebe’s first editorial. 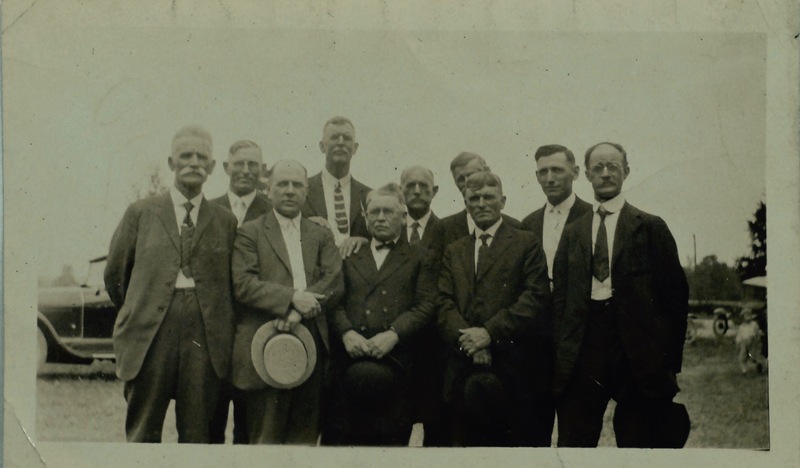 In the linked documents and photos, you will find the original source and be able to browse through the writings of these Old Baptist fathers. Williamstown, Grant Co., Ky., June 18, 1844. 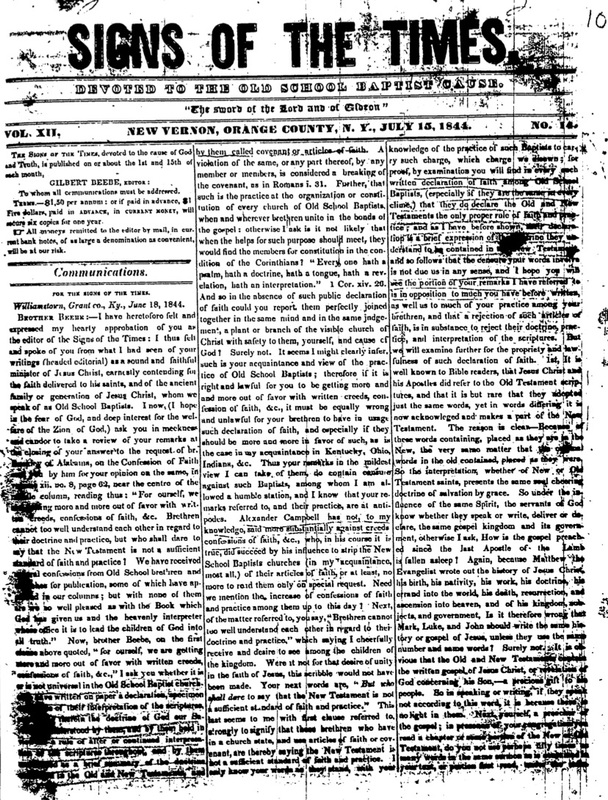 Now, brother Beebe, on the first claim above quoted, “for ourself, we are getting more and more out of favor with written creeds, confessions of faith, &c.,” I ask you whether it is or is not universal in the Old School Baptist churches to have written on paper a declaration, specimen explanation of their interpretation of the scriptures, providing therein the doctrine of God our Saviour is understood by them, and by them held in ——– a rule of after or continued interpretation of the scripture throughout, and by them explained as a brief summary of the doctrine contained in the Old and New Testament, and by them called covenant or articles of faith. A violation of the same, or any part thereof, by any member or members, is considered a breaking of the covenant, as in Romans i. 31. 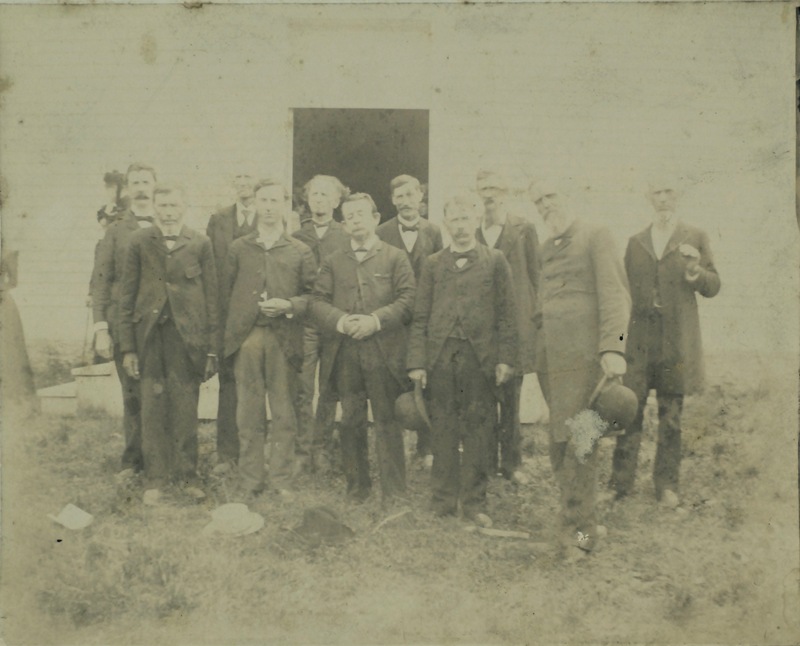 Further, that such is the practice at the organization or constitution of every church of Old School Baptists, when and wherever brethren united in the bonds of the gospel: otherwise I ask is it not likely that when the helps for such purpose should meet, they would find the members for constitution in the condition of the Corinthians? “Every on hath a psalm, hath a doctrine, hath a tongue, hath a revelation, hath an interpretation.” 1 Cor. xiv. 26. And so in the absence of such public declaration of faith could you report them perfectly joined together in the same mind and in the same judgement, a plant or branch of the visible church of Christ with safety to them, yourself, and cause of God? Surely not. It seems I might clearly infer such is your acquaintance and view of the practice of Old School Baptists; therefore if it is right and lawful for you to be getting more and more out of favor with written creeds, confessions of faith, &c., it must be equally wrong and unlawful for your brethren to have in usage such a declaration of faith, and especially if they should be more and more in favor of such, as is the case in my acquaintance in Kentucky, Ohio, Indians, &c. Thus your remarks in the mildest view I can take of them, do contain censure against such Baptists, among whom I am allowed a humble station, and I know that your remarks referred to, and to their practice, are at antipodes. Alexander Campbell has not, to my knowledge, said more substantially against creeds, confessions of faith, &c., who, in his course it is true, did succeed by his influence to strip the New School Baptist churches (in my acquaintance most all.) of their articles of faith, or at least, no more to read them only on special request. Need we mention the increase of confessions of faith and practice among them up to this day? Next of the matter referred to, you say, “Brethren cannot too well understand each other in regard to their doctrine and practice,” which saying I cheerfully receive and desire to see among the children of the kingdom. Were it not for that desire of unity in the faith of Jesus, this scribble would not have been made. Your next words are, “But who shall dare to say that the New Testament is not a sufficient standard of faith and practice.” This last seems to me with first clause referred to, strongly to signify that these brethren who have in a church state, and use articles of faith or covenant, are thereby saying the New Testament is not a sufficient standard of faith and practice. I only know your words as they stand, with your knowledge of the practice of such Baptists to carry such a charge, which charge we disown; for proof, by examination you will find in every such written declaration of faith among Old School Baptists, (especially if they are the same in every clime,) that the do declare the Old and New Testaments the only proper rule of faith and practice; and as I have before shown, their declaration is a brief expression of the doctrine they understand to be contained in the New Testament and so follows that the censure your words invoke is not due us in any sense, and I hope you will see the portion of your remarks I have referred to is in opposition to much you have before written, as well as to much of your practice among your brethren, and that a rejection of such articles of faith, is in substance to reject their doctrine, practice, and interpretation of the scriptures. But we will examine further for the propriety and lawfulness of such declaration of faith. 1st, It is well known to Bible readers, that Jesus Christ and his Apostles did refer to the Old Testament scriptures, and that it is but rare that the adopted just the same words, yet in words differing it is now acknowledged and makes a part of the New Testament. The reason is clear—Because of three words containing, placed as they are in the New, the very same matter that the original words contained in the Old contained, placed as they were. So the interpretation, whether of New or Old Testament saints, presents the same soul cheering doctrine of salvation by grace. So under the influence of the same Spirit, the servants of God know whether they speak or write, deliver or declare, the same gospel kingdom and its government, otherwise I ask, How is the gospel preached since the last Apostle of the Lamb is fallen asleep? Again, because Matthew the Evangelist wrote out the history of Jesus Christ, his birth, his nativity, his work, his doctrine, his errand into the world, his death, his resurrection, and ascension into heaven, and of his kingdom, subjects, and government. Is it therefore wrong that Mark, Luke, and John should write the same history or gospel of Jesus, unless they use the same number and same words? Surely not. It is obvious that the Old and New Testaments contain the written gospel of Jesus Christ, or revelation of God concerning his Son,–a precious gift to his people. So in speaking or writing, if they speak not according to this word, it is because there is no light in them. Next, yourself, a preach of the gospel; in presence of your congregation you read a chapter or some portion of the New or Old Testament, do you not use perhaps fifty time as many words in the same sermon as is contained in your text, or portion first read, under the influence of the Holy Spirit? Is not all you say while thus speaking, in harmony with the doctrine contained in the said portion so read, and of course with the rest of the Scriptures? And again, you have written much on the subject of the religion of Jesus, his doctrine, his church, and discipline. Is all you have preached and all you have written the New Testament a proper standard of faith and practice? If you answer in the affirmative, I ask, would it not be a good creed or confession of faith? But if the answer should be in the negative, “Why not get more and more out of favor with preaching, and especially writing? for write or preach, when and where you will, it is your creed or confession of faith, so that I see not, if indeed you are an Old School Baptist, how you can speak lightly of covenants or articles of faith in use among brethren, written, as they should be, in harmony with the Testament. Again, the standard of faith. It is well known that every standard or rule (the substance) will give its own shade or shadow under all circumstances, while the light prerequisite to see or use such standard is present, so every type or impress gives its own likeness. This we cannot deny; for it is said, “He that dwelleth in the secret place of the Most High, shall abide under the shadow of the Almighty.” Psalm ix. 1. If then we shall, under the shadow or influence of the heavenly interpreter be led to show to the household of faith a few lively expressions of our Father’s name, his mercy, glory, and excellency; some brief expressions of his bequest, his will, his kingdom, and government of his subjects in this world, and that every one of his children are destined to meet after a few more days of suffering with God their Father, and Jesus Christ, their Elder Brother in heaven above, and go out no more forever. This shade, even in the shape (holding, the substance) of a truly Old School Baptist covenant or article of faith, surely such sight would be worth looking at, and such melodious sound worth hearing read once every month. Such is mostly the case among Old Fashioned Baptists in Kentucky. Yes, let such interpretation abide with us however coarsely written, but pointing to the Old and New Testament for its zest, that the generations to come may see and hear our view and interpretation of the scriptures. Lastly, “But with none of them are we so well pleased as with the Book God has given us,” &c. Well, I hope I feel please with the Book and heavenly Interpreter’s glorious bequest to sinners, the purchase of his blood: yet be it remembered, that though this gift is eternal and sure to all the seed, they cannot see the Book nor hear the heavenly Interpreter’s voice until begotten of God and born of the Spirit; then after seeing the glory of God in the face of Jesus, and brought to know the joyful sound, they will be speaking of the glory of his kingdom, and talking of his power. Will the eyes of such become tired of seeing, the ear dull of hearing, and the heart slow of understanding the Interpreter’s voice that shows them the things of Jesus as recorded in the Book, without which voice the Testament can profit them but little in this world, if any? I think not. Is it not the case then that they speak that which they do know, and testify of the things they have seen? So then as well write down after the Interpreter’s voice as speak. Is there therefore any difference between that so written and the Testament? If not, it would seem clear to me that you might as soon become more and more out of favor with the Book and heavenly Interpreter, as the things or doctrine the Interpreter declares the Book to contain; and further, that they are written on the fleshly tables of your heart: then the book, the heart of flesh, and the Interpreter, these three agreeing in one, may it not be written, even that doctrine which the experience of every child of God contains. The above I submit to you, my brother, for your examination and scrutiny, and request an insertion of it in your paper, that the brethren in general may judge between us. This done, my object is accomplished. 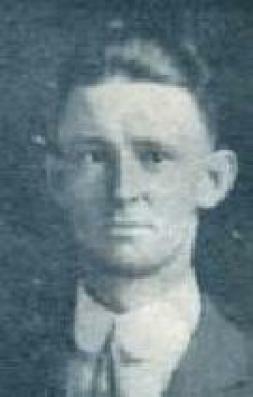 Elder J. M. Bullard was born July 10, 1895 and died on May 2, 1979. 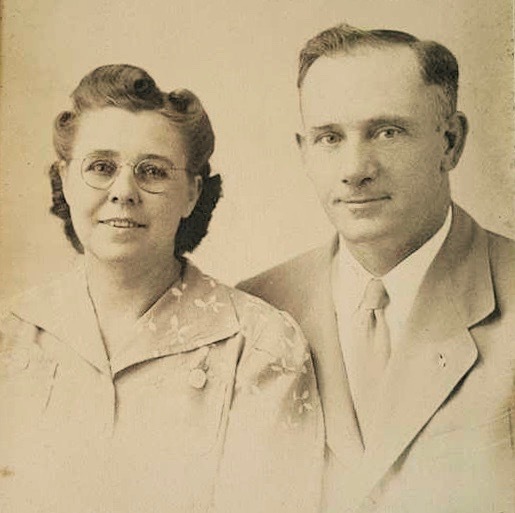 He was a minister of the Primitive Baptist Church for more than 50 years. Elder Bullard was a well educated man, serving as a public school teacher and administrator, Business Administrator of Northeast Mississippi Junior College in Booneville, MS, and finally as a member of the Mississippi State Legislature. Elder Bullard was a close friend of Elder J. D. Holder for whom he moderated the Holder-Nichols debate in 1950. 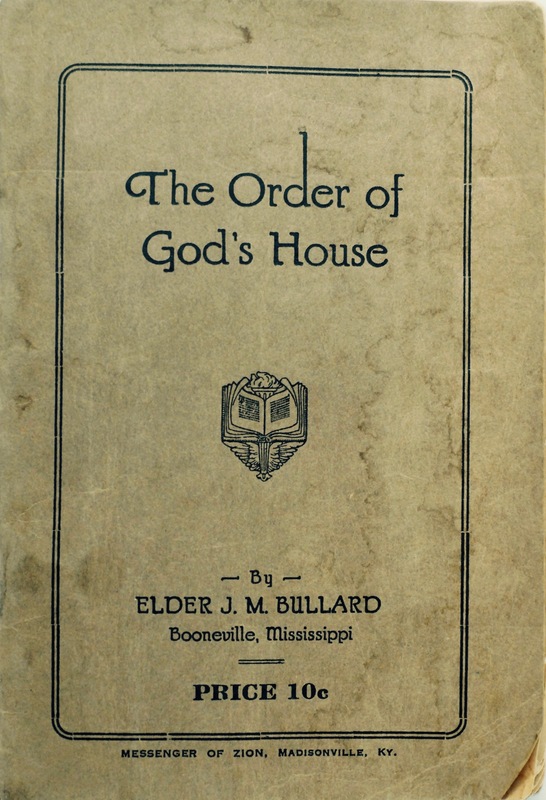 Elder Bullard was a frequent contributor to Primitive Baptist periodicals, and authored booklets including: Ministers in My Day, Ministerial Qualifications, The Atonement, and The Order of God’s House. If any of our readers has or has access to any of the above, please contact us with information on how we may acquire digital copies of these writings. “I trust that my only motive is to seek out the ordered path that the Church should travel in, and to sight some errors of its procedures. The Church of Jesus Christ has the greatest mission of any other organization on earth. Christ gave her the orders, the laws, the commands, to carry out that mission. The mission of the Church was not to populate heaven; not to prepare the alien hearts of men for the glory world; not to bring about a spiritual birth; but its mission was, and is, to prepare the Lord’s people for service in the kingdom here in the world. It is to do this in perfect harmony with the teachings of God’s inspired Word that orders her in the way of righteousness. When she observes the laws of her Master, she is a bright and shining light. There is no light in the world today like this glorious light. But if that light which is in you is darkness, how great is that darkness! Regardless of where lines of fellowship, communion, and association are drawn, it is clear that there must be such lines. Elder Bullard reminds us that it is the Word of God which is our standard and only rule of faith and practice. It is the responsibility of every believer to ensure that they are laboring to contend for the faith, and to ensure that God’s house, the Church of God is kept in good and working order. It is our desire to provide a comprehensive clearinghouse of Primitive Baptist writings and resources to provide a basis for understanding the doctrine, practice, and heritage of the Primitive Baptists. All documents are presented in their original form through the use of scanned or photographic images in PDF form. Where possible, these images will be coupled with text for ease of use and search capabilities.